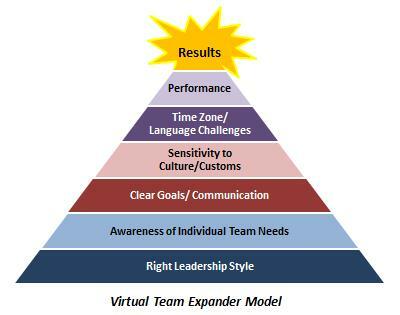 Leadership Dynamics, Inc. | Leading Virtual Teams: Are You An Expander or A Diminisher? Leading Virtual Teams: Are You An Expander or A Diminisher? Successfully leading a virtual team is more about your aptitude to trust and to engage team members than anything else. Whether you have team members who reside in a different building, a different city, or a different country, your individual leadership style will determine if you are able to expand productivity (performance expander) or to inhibit productivity (performance diminisher). Take the example of Maria. Known as a take charge, get it done manager, Maria focuses on results and diligently works to make sure all deadlines, budgets, and regulations are met. With a traditional (local) team, she is able to oversee the work and to keep in close contact with her people. However, when asked to lead a virtual team, her results plummeted. Upon interviewing team members, the major problem was clear – Marie’s leadership style was diminishing performance. People did not feel a connection to her. She was not comfortable reaching out or communicating easily–preferring instead to communicate via email or through the chain of command. And, when she did communicate it frequently sounded critical and unsupportive. People did not feel trusted and soon felt more of a child to parent relationship with Maria versus an adult to adult relationship. Subject matter experts (SMEs) and seasoned professionals became tactical and retreated into lower functioning levels. All in all, it was a disaster. Performance slid, people were unhappy, and results were unacceptable. Frequently organizations prefer to believe the failure of a virtual global team is due to time zones, language, customs, and/or cultural issues. Those are all important, but the foundation for success is leadership style. Do you have the aptitude or natural behavior to trust your people? Are you able to delegate not just tasks and details, but real authority to accomplish the work? Can you adjust your style to meet the needs of your various team members? Do you even understand what each of your team members needs in order to be engaged and productive? These are critical elements that few organizations ask. As Dr. Demings said, “Experience alone teaches you nothing.” If organizations don’t identify what makes a performance expander, they will be doomed to random failures caused by performance diminishers. Now, more than ever, leaders need to examine themselves and ask – do I expand the capabilities of my team? Or is my behavior diminishing the performance? If you don’t like the answer, it is time to seek help (e.g., executive coach). Note: Diminishers can “hide” more easily in traditional settings. Although their team members see it, diminishers often times can still drive short-term performance albeit at a high cost (poor utilization of resources, increased turnover, etc.). 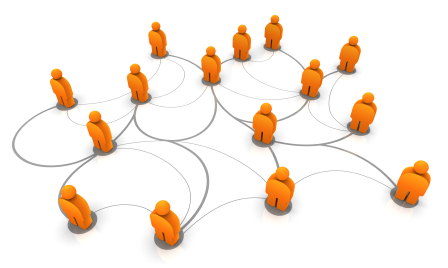 However, the leadership gaps of diminshers are amplified in virtual teams. Their shortcomings are more exposed and more problematic.